It's that time of year again! Can you believe it? The shelves are full of back school supplies, it's time for new cloths, back packs and more. 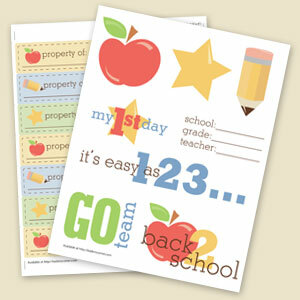 I made up these cute little sticker sheets to help get my kids excited to go back to school. We used them to label Kaden's supplies, backpack and lunch box with his name. 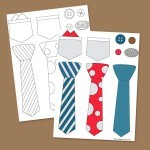 Then used the other stickers to decorate his notebook and a cute little card for his new teacher. It was lots of fun.